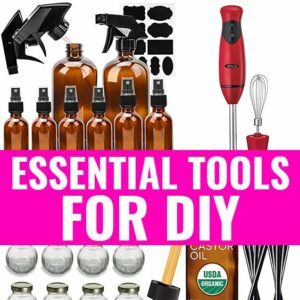 DIY Dog Toothpaste with Safe Essential Oils - beautymunsta - free natural beauty hacks and more! 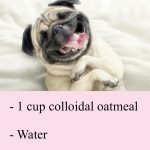 Beautymunsta.com brings to you a safe, non-toxic DIY dog toothpaste with dog-safe essential oils for extra healing properties! Dogs need their teeth brushed! I get so alarmed when I see people who think they never need to brush their teeth. If you brush your dog’s teeth regularly, you’re being a responsible dog parent and that’s awesome! But wait! Are you using conventional, store-bought toothpaste to brush your dog’s teeth? Believe it or not, that’s not very healthy for your dog! Conventional toothpastes for dogs contain SLS, or sodium laureth sulfate, which is a neurotoxin that is used for its foaming action. They also contain synthetic fragrances which are absolutely useless and actually cause thyroid dysfunction and hormone disruption in your dog. You may even notice your dog’s breath stinks even after brushing with store-bought toothpaste. Well, that’s because store-bought toothpaste has harsh ingredients that strip your canine’s teeth of the natural biofilm coating that protects them. It also disrupts the natural microbial flora of the mouth which causes bad bacteria to prevail over the good bacteria. This imbalance creates bad breath in dogs. 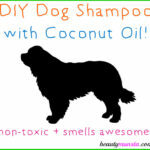 Make Your Own DIY Dog Toothpaste! 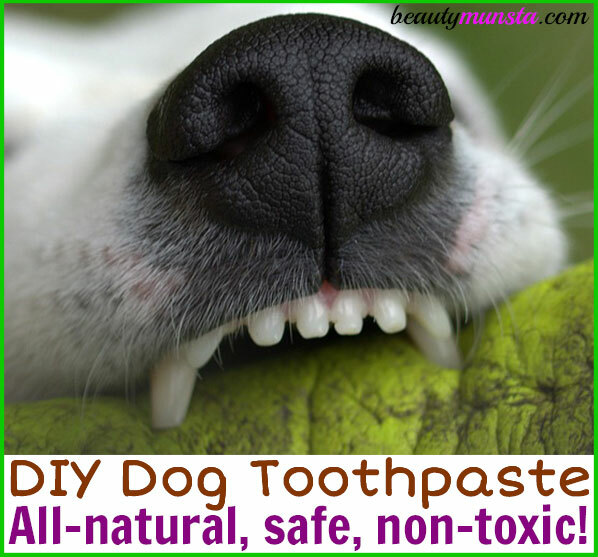 The solution to safe, effective and non-toxic dog toothpaste is simple – just make your own! It’s incredibly easy and what’s more, it’s WAY cheaper! That’s a big WOOF from me! If I had a tail, I’d be wagging it like crazy right now. This DIY dog toothpaste has minimal ingredients. Baking soda and coconut oil. It also has another special ingredient, which is essential oils. Now a note on essential oils: Most essential oils are dangerous to pets. But a few essential oils are actually completely safe to use on dogs. In this recipe, we shall be using peppermint essential oil, which is perfectly safe for application on dogs. Other safe choices include myrrh, tea tree and lemongrass. In a glass container, mix both the baking soda and coconut oil together. They should be thoroughly combined. Next carefully add the peppermint oil drops. Now mix again for about a minute. 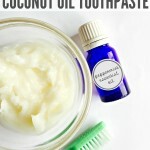 Your diy dog toothpaste is now ready for use! How to Use DIY Dog Toothpaste! You will need a dog toothbrush, which is a specially designed toothbrush for brushing dog’s teeth. Now apply to your dog’s teeth and brush in an un and down motion, making sure to reach between each teeth. Brush your dog’s teeth at least once a day. Remember, dogs are highly sensitive to smell so some dogs may be put off by the scent of essential oil. Its best to make sure your dog gets used to the scent by introducing the paste a little at a time. Within a few days, your dog will get used to the scent. With this DIY dog toothpaste with essential oils, you can now love your dog to the fullest, along with the minty fresh breath and clean chompers! 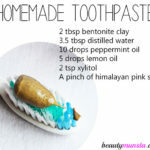 Homemade Toothpaste with Bentonite Clay – Easy Peasy Recipe!